GMC Nizamabad Jobs Recruitment Notification 2018.Government Medical College Nizamabad inviting applications for the positions of assistant professor , associate professor and professor.Interested and Eligible candidates can apply for the positions. 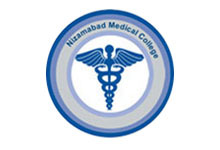 Post graduation MD/MS in the concerned specialty is the qualification for applicants and must have post qualification experience of minimum 3 years as assistant professor for professor post and 3 years as JR for assistant professor post. On 31st August 2018 along with all essential documents candidates can appear for GMC recruitment.